We are a 2nd, 3rd and 4th generation flower family. Our love of flowers started with our Family Matriarch in the 1940’s on the streets of Downtown Honolulu where she met visitors with a Smile, Aloha, and Fresh Flower Lei. Continuing from the Boat Days of the SS Lurline, Malolo, Mariposa, and Monterey, we the 2nd, 3rd and 4th generation carry on the tradition with pride and gratitude and are moving forward with “A Special Touch” in all we do. It is with humbleness and pride that we present to you our floral creations. From lei that we weave with materials from our Upcountry Garden, to truly Unique and Hawaiian Wedding Bouquets and Arrangements, we carry on this family tradition being blessed daily and guided by our Ancestral Angels. We look forward to bringing smiles to all that come to know our “Special Touch” at “A Special Touch”. Hawaiian Flowers make a wonderful and unique gift. Surprise someone with some fresh Tropical Flowers from Hawaii. We can customize your order with size, color and type of flowers desired. If you need assistance, please email us today. Whatever you have in mind, we can create it for you! All our Hawaiian Flowers listed below come in a gift box and do not need any special skills and are very easy to assemble! Send some Alona, send Hawaiian Flowers today! With a background in visual display, I was always drawn to finishing touches and details. Flowers always seemed to be just that-the finishing touch that made a design complete. Moving to Maui from Vancouver, I instantly admired the floral beauty the island gifted it’s residents. With no full service floral shop on the island, I decided to fill that niche – creating Bella Bloom Floral Boutique. I wanted to create a space that inspired brides, and allowed them to be involved in their floral process. I am proud to offer fresh flowers, a creative floral design team and a collection of home goods, gifts and many local creations. Stop by and visit us, we’d love for you to enjoy our lovely flowers and gifts. Meet Mandy Grace, head floral stylist and owner of Bella Grace Flowers. She’s been designing floral arrangements since1999 and her work has been featured on StyleMePretty.com, The Knot and Destination Inspiration. Dellables, founded in 1996, is a unique wedding and event floral design company for the island of Maui. Our unique and custom floral designs have been showcased in the Knot, Style Me Pretty, Project Weddings and much more. Della Peacock has worked well over a thousand weddings, providing her unique insight and floral brilliance by applying it to all the details such as bouquets, leis, arches, ceremony decor, table arrangements, and reception decor. Dellables’ creative expression is inspired by natural surroundings and painting interpretations of Ocean, Mountain, Sky and Nature’s colors throughout her work. Aloha from Fukushima Flowers located in Maui, Hawaii. We specialize in using fresh flowers grown right here on Maui, so that each flower bouquet or arrangementis distinctive and has a tropical flair. We pride ourselves in catering to each client with every project being a process of creativity and individuality. Haleakala Florist provides the design and fresh flowers to make your next event sensational. If you know exactly what you want for your wedding, our wedding consultants are ready to take your order. If you are unsure about your wedding floral needs, and would like to discuss options, prices, and flower choices, we offer Maui wedding consulting. Kaanapali Romance wants your experience with our “Just Because” to “Bridal Event of the Year” designs to show our years of unique creative abilities. Being talented designers and having our daily, weekly arrangements prominently displayed in Napili, Kapalua, Lahaina, and Kaanapali resort lobbies, rooms, and homes. Our creations are awaiting your request’s. The following arrangement, bouquet, and centerpiece photo’s, will show our love of floral designing! If you’re coming to Maui to get married, we can supply all the floral arrangements to help make your wedding the most memorable ever. And by buying your flowers direct from us, not only do you get a wider variety of choices than you would from your hotel or wedding service, but you save money! 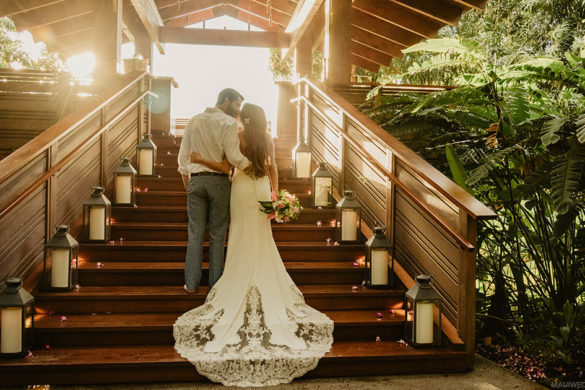 Browse through our weddings section, and choose the items you would like to have at your wedding – we’ll have everything ready for you when you get to Maui! We have all the floral decorations you need for a wedding to remember, from table displays, and bridal bouquets, to corsages and boutonnieres. You have plenty of things on your mind, preparing for your wedding day – let us take care of the flowers, and save money too! Kihei-Wailea Flowers By Cora is proudly serving Kihei. 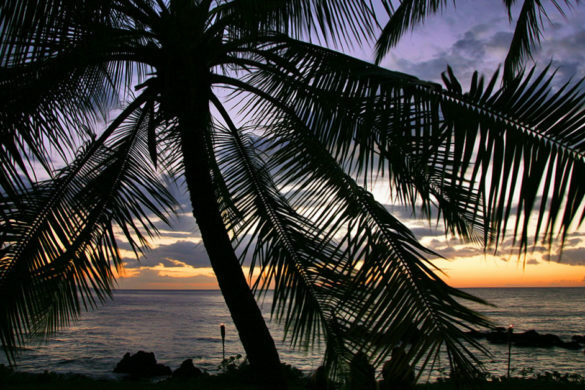 We are family owned and operated serving the Kihei area. We are committed to offering only the finest floral arrangements and gifts, backed by service that is friendly and prompt. Because all of our customers are important, our professional staff is dedicated to making your experience a pleasant one. That is why we always go the extra mile to make your floral gift perfect. We offer fresh tropical flower arrangements, orchids, wedding & event flowers, and we ship our popular protea baskets all over the continental U.S. and Canada. The key to our success is our sourcing and our personal touch. I strongly believe in hand-selecting local products from family-owned businesses. I work closely with the best local growers on Maui and the Big Island, and source spring flowers from the finest wholesalers, to accommodate a wide-range of requests. Our team of talented floral designers have over 40 years of experience creating one-of-a-kind arrangements. We aren’t associated with any floral wire services; each arrangement from Maui Blooms will be designed for you and you only. Welcome to Maui Elegance Floral Design – I’m Leah your Wedding Florist. Since moving to Maui from Seattle 19 yrs ago my passions have grown from not just flowers but everything that Maui has to offer. We are a family owned & operated business. Everyone in the family helps out on occasion – from stringing leis, wiring orchids to assisting with deliveries – we are a team! I bring over 20+ years of experience designing flowers for very happy brides! I am a very visual florist, so I always try to help my brides to really visualize their day and photos help with that. I look forward to helping you with your amazing Maui Wedding! Tradewinds blow across the vast blue Pacific laden with pure cool rains that nurture our rainforests and upcountry farms. The mineral rich volcanic soils of Haleakala and the water bearing breezes create the world’s finest growing environment for tropicals and exotics. Generations of farmers have worked to develop new and lasting varieties of tropical blooms. Today, Hawaii leads the world in quantity and production of exotic flowers, and Maui is the premier producer of the many varieties grown here. Indescribable species of protea are grown in upcountry Maui. Bold and multicolored tropicals thrive in the rainforests of Hana and East Maui. Maui’s exotic flowers have a long vase life, making them perfect for shipping from Maui. All major airlines make daily flights to the mainland and beyond, so these magnificent blooms can be sent directly from the grower to you. This Maui Flower Shop specializes in wedding flowers! We can create the perfect bridal bouquet or help you with any other wedding flowers you may need here in Hawaii. As you look through this website your will see that we also do custom flower arrangements and custom gift baskets as well! Just let us know what you would like and we will deliver! We also ship tropical flowers to the mainland. If you have a photo of something you like from the internet just forward it to our email and we can duplicate just about anything! Napili Florist is one of Maui’s premier floral design shops. Over the last 15 years Napili Florist has been helping to provide the freshest and most beautiful flowers for any occasion, including special events, on the west side. To create a unique and memorable experience for their customers, Napili Florist uses a diverse selection of the freshest flowers from around the world. This includes everything from South American Roses to the freshest local grown Hawai’ian species. All flowers are then arranged in custom crafted floral arrangements. Centrally located in Napili, on Maui’s west side, just minutes away from resort destinations such as Kapalua, Kaanapali, and Lahaina, Napili Florists are ready to help capture the true spirit of Hawaiian Aloha for your special occasion or event. Make your Maui wedding an unforgettable occasion, decorate your guests tables with the freshest Maui flowers custom made to your preference, wedding colors, and wedding theme. Exquisitely hand crafted wedding bouquets individualized for every bride! Make your dream Maui wedding a reality with the best flowers available on Maui. Valerie personally is involved in every step from meeting with the bride, finding the best flowers available, the creation and the final delivery of your beautiful wedding flowers! Some of her favorite Hawaii wedding flowers include: phalenopsis orchids, plumerias, dendrobium orchids, cymbidiums, tuberose, pikake, ginger, haliconias, and antheriums. Maui Wedding Flowers is your one stop shop for all your Maui Wedding & Special Event flower needs including your Table Arrangements, Maui Wedding Bouquets, andArches/Hair Flowers/Accessory Decorations. WILDHEART is a custom floral and event design studio located on Maui and serving the Hawaiian Islands. Founded by designer Christina Hartman, WILDHEART is inspired by the lush natural beauty that surrounds us in our island home. We are passionate about creating an organic and thoughtful environment that transforms your space, your event, and your experience into an artful vision come to life. Our bespoke design process starts with a feeling or a mood; from there we gather inspiration to build a concept that tells your story in a way that is unique to you. We are always excited to talk flowers with our clients, suggesting seasonally appropriate blooms that will establish a sense of place. We start with the flower, and build our design in a way that features the living beauty of each bloom in a style that is most natural. Our creative and personal approach combined with a commitment to artful design is evidenced in our work. WILDHEART is passionate about sourcing blooms locally where possible, from our neighbor farmers and gardeners. We have recently expanded our cutting gardens at our home studio with the intention of providing our clients with blooms that have that fresh from the garden, untamed experience.